Book cheap private transfer from Nathon Pier in just a few minutes! The Nathon Pier itself is a truly impressive area, which can accommodate hundreds of passengers who are waiting for their transfer from one ferry to another. Every day through this berth pass a numerous car and track ferries, as well as endless passenger ferries and boats who ply the gulf and making a sightseeing tour or bringing tourists to the destination point. 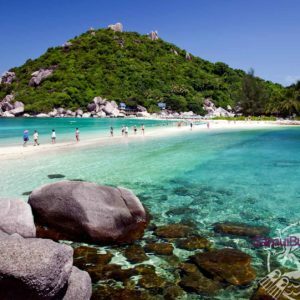 From this pier, which is located on the North-West of Koh Samui, tourists can travel to any of the amazing beaches such as Lamai or Chaweng, the last one is the main object of pilgrimage for tourists who gather there. Nathon Pier is the major port for ferries on Koh Samui, which is the main point of arrival and departure for island travelers. 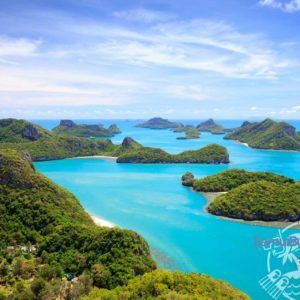 Daily transfers from Nathon Pier (Seatran Ferry) to Airport Koh Samui, Bang Kao, Bang Por, Bang Rak (Big Buddha), Bang Rak Pier, Bophut, Bus Terminal (Lipa Yai), Chaweng, Chaweng Noi, Choeng Mon, Laem Set, Lamai, Lipa Noi, Lipa Noi Pier (AirAsia), Maenam, Nar Ton Pier (Lomprayah, NokAir), Pralarn Pier (Lomprayah), Taling Ngam. Get from the Nathon Pier (Seatran Ferry) to the hotel and back will be so easy if you will think about it in advance. Just book Transfer service!